Belgian Air Cadets, you said? The ‘Belgian Air Cadets’ is a non-profit organisation almost entirely supported by the Belgian Air Component (AC). The aim of the movement is to engage young people – within an atmosphere of team-spirit and responsability – in aviation and eventually in a career in the AC. Currently there are about 300 active flight cadets and so-called ‘aspirants’. 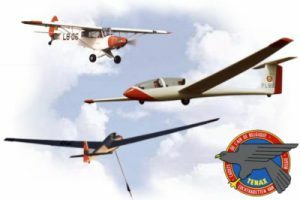 Each year 50 selected youngsters between the ages of 15 and 16 are given the opportunity to join the organisation and to become a glider pilot. The training is given by both people from the military and civilians. In most cases ground and flight instructors are closely related to aviation in their everyday life and they find the excellent place here to pass their knowledge and experience to a new generation.